Do you want to learn Latin dancing, but you want to bring something especially exciting to the dance floor? Argentine tango may be the dance for you, and we can help you learn it at Danza Pasion in Perth. 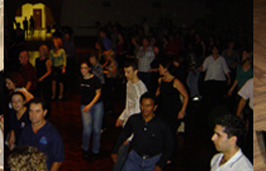 We hold introductory tango dancing classes every week at our Balcatta location. If you are more advanced in the tango, you can also take advanced workshops in tango dancing that help you master your technique. 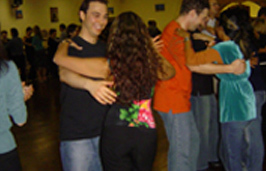 In Argentine tango, the man leads and the woman follows the lead, but both have many opportunities to make the tango unique. Argentine tango is not for the faint of heart — it is a passionate dance for those who don’t shy from showing intensity. The tango is designed to recount a story of love for both dancers. Though the tango can be technical, taking tango dancing lessons will help you learn to anticipate the music’s crescendos and make the dance your own. With years of experience, Danza Pasion’s instructors will help you first learn the basic steps in tango classes and then begin your mastery of the dance. Anyone in Perth can learn Argentine tango if they set their mind to it. Danza Pasion’s instructors help make the tango fun and easy for everyone, despite the dance’s inherent intensity. You will learn to channel your passion into the dance and amaze everyone with your technical skill and your mastery of individual expression. Tango dancing classes with Danza Pasion will transform you into the dancer you always wanted to be. Spectacular tango dancing draws in the audience and allows them to feel the emotions the dancers are experiencing. Bare your personality by learning to invoke these emotions in those who have the pleasure of watching you dance tango. Our instructors at Danza Pasion have years of experience helping students who say they have two left feet learn to dance one of the more technical Latin dances in the world. Tango classes allow you to lose weight and express yourself in a healthy way. The Argentine tango is a type of dance that truly allows you to feel one with the music and understand it to a degree other dancers may not. Tango dancing lessons with world-class Danza Pasion instructors is the best way to learn to feel this connection with tango music in the Perth area. Your tango lessons will take you far and will help you connect with your partner in ways other dances can’t achieve. The introductory classes will teach you the essential steps and movement patterns of the Argentine tango. From there, you can continue to progress and receive help from Danza Pasion instructors. Someday, you may even become an advanced dancer who can take our workshops and further improve your tango skills. Tango dancing lessons and classes in Perth are never so much fun as they are with Danza Pasion’s great instructors and welcoming environment. Don’t hesitate to attend a beginning class soon and live your tango dreams!